Book can be purchased on-line through Heinemann, Amazon, and Barnes & Nobles. Minds in Motion is published by Heinemann Press. 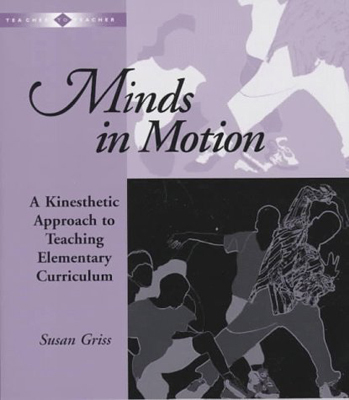 An ideal resource for both preservice and inservice teachers, Minds in Motion includes more than 30 lesson plans in a wide range of subjects. “Children naturally move. They react to and explore the world in physical ways. No one has to teach them to jump for joy, to roll down a grassy hill, or to pound their bodies on the floor during a tantrum. When they arrive in elementary school they are fluent in this nonverbal, physical language. However, rather than using this natural resource by channeling it into constructive learning experiences, teachers often expend energy subduing children’s physicality.